The Pats held Houston Texans running back to just 46 yards in the first meeting. But defensive tackle Vince Wilfork doesn't expect to have it that easy on Sunday. FOXBOROUGH, Mass. — Vince Wilfork expects to have a tougher time stopping Arian Foster this time around. The New England Patriots defensive tackle faces the Houston Texans running back for the second time this season on Sunday in the AFC divisional round. Foster rushed for just 46 yards in the first meeting. The Patriots won that game, 42-14, on Dec. 10, but the Texans focused on their passing game after falling behind 28-0. Wilfork said Tuesday the Patriots always try to make the opposing offense one-dimensional. But he called Foster a threat as a receiver as well as a runner. 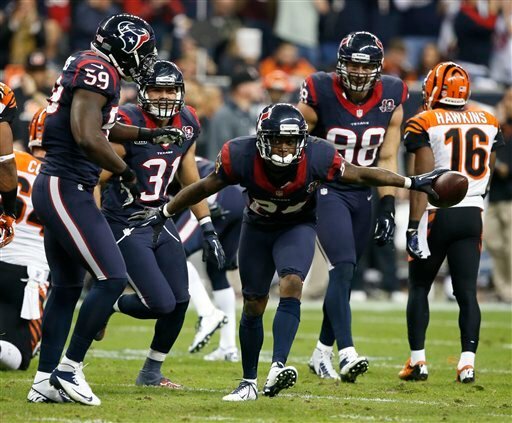 Foster rushed for 140 yards last Saturday when the Texans (13-4) beat the Cincinnati Bengals 19-13 in a wild-card game. The Patriots (12-4) had a bye.